Innova Solutions is annoucing the launch of two innovative floor and wall graphic brands. These products are in high demand with Innova Solutions being one of few retailers in the UK to supply the product. Innova Solutions are delighted to announce the launch of both AlumiGraphics and G-Floor Graphics. These innovative products are simple to use and take the complexity out of installing floor and wall graphics. 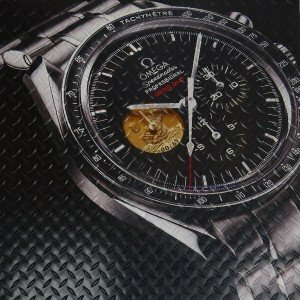 Both products are in high demand, the ground breaking technology used solve a number of problems in the customisable graphics market. It’s products like these that are regenerating the graphics sector. 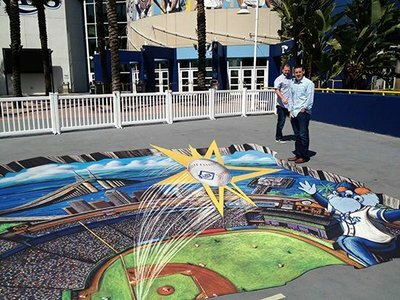 With increased durability, marketers are getting more bang for their buck, while the flexibility of such products is allowing for more creative uses, such as the Tampa Bay Rays use of AlumiGraphics grip. They printed an 18 foot by 12 foot graphic that gave the impression of a bird's eye view looking down into the stadium. 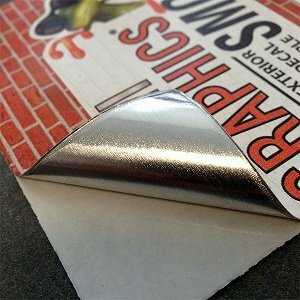 AlumiGraphics is a foil-based, wide format print media for digital printers. It is available in two finishes: GRIP and SMOOTH. Grip features a non-skid surface suitable for exterior walkways while smooth is designed for exterior walls. The material naturally conforms to rough or smooth textured surfaces; giving the appearance of painted graphics. 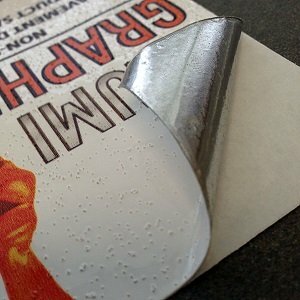 The high-friction surface provides duel characteristics including exceptional slip resistance and reflectivity, therefore creating a durable, safe and highly visible while the ease of application means there’s potential for many creative uses. AlumiGraphics is utilised for graphics that can appear as painted on floors or walls, both outdoor and indoors. Anything can be printed onto this media and it does not need laminating. Large graphics can be tiled together to form almost any size and shape. Alumigraphics can be cut to shape with large format plotters, die cutting or manually with scissors. AlumiGraphics is available in blank rolls with both finishes measuring 53 inches in width, completely usable edge to edge. Available lengths are; 30, 75, or 150 feet long. 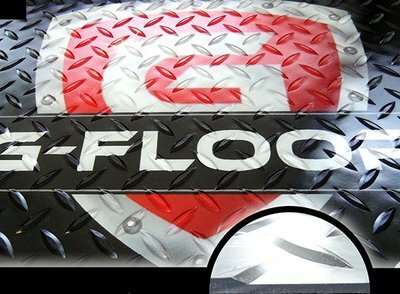 G-Floor Graphic is an extruded clear and flexible pure PVC product, that can be reverse printed using; flatbed, hybrid or roll-to-roll printers with both UV and solvent inks. It gives you an impeccable level of image protection and durability, while also boasting the thickest and widest wear layer in the industry. Traditionally floor graphics fade, even with multiple laminating. 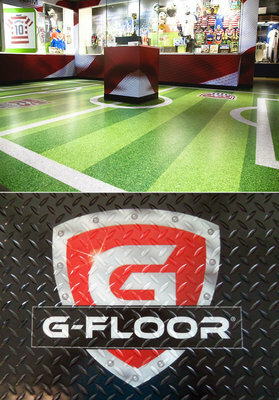 G-Floor prints directly to the product, this creates a graphic floor as oppose to a floor graphic. The result is a product with greater durability, longevity and versatility that can withstand heavy footfall and vehicle traffic. Innova Solutions also offer G-Floor Absolute White, a wood-grain style finish that has been purposefully designed for those without white-base print capabilities. The anti-chalking, that is an all weather formulation, can be applied to the majority of floorings. G-floor is available in widths of up to 10 feet, in thicknesses of 75mm (flexible) and 95mm (semi-flexible).